You want to drive your car but you have a very bad headache. A friend gives you some of their headache tablets to kill the pain. What should you do before you take these tablets? You want to drive your car but you have a very bad headache. A friend gives you some of their headache tablets to kill the pain. What should you do before you take these tablets? A. Read the label and confirm they are not prescription drugs and there are no special warnings on the label. B. Ask your friend if the tablets have affected them. C. Drink a large glass of milk because this reduces the adverse effects of medicines and drugs. For many of us driving is a necessity for at least some purpose or activity, and for some of you your livelihood will rely on it, but we also do get sick occasionally and need to take medication which can affect our driving. Driving is a complex skill requiring motor coordination, perception, vision, and more, and our ability to use these skills effectively can be reduced even by quite legal medication, and especially by illegal drugs and alcohol. If you do develop a serious medical condition that affects your driving, and it's not able to be treated by medication then you must notify Roads and Maritime. Your doctor is not responsible for notifying the Roads and Maritime and you do not need to hand your licence in. Contact Roads and Maritime first. There are two types of medications: over-the-counter (OTC) and doctor-prescribed. OTC medicines comprise most natural health supplements and common drugs such as paracetamol. With OTC medicines you can purchase them at a pharmacy and some other outlets like supermarkets without a prescription. 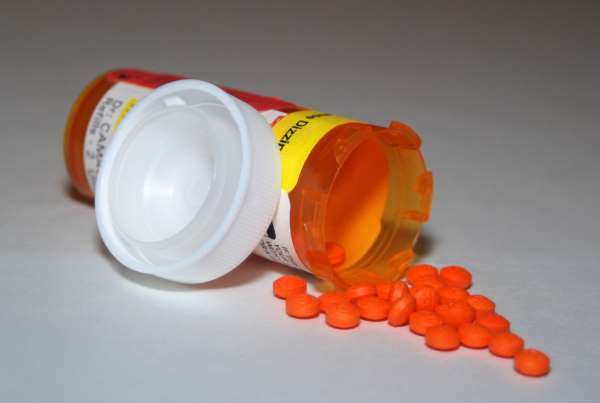 Other medications, which are often stronger and are the ones that can react the strongest in your body, must be prescribed because they can cause issues such as nausea, inability to concentrate, fainting and dizziness, digestive issues and stomach cramps, delayed reactions, reduction in spatial awareness and coordination, sleepiness and blurred vision. Combinations of medicines (including herbal supplements) can make these symptoms worse and even introduce more symptoms, or the medications themselves can have side effects that mask one symptom while creating another, less severe symptom, but one that's still not desirable to drive with. Older people are more likely to take medication and therefore are more likely to have to stop driving for short periods. They are also more likely to have to take more types of medication. Can you drive if you are taking medication? Most people will be able to drive perfectly normally if taking medication, depending on the medications they are taking. This applies to both OTC and prescription medications. But even something as innocuous as a treatment for a head cold can have a significant effect on you. Your doctor will be able to tell you which medications will affect your driving and, if driving is necessary for you, they might be able to change your diet or exercise regime to reduce your need for a specific medication (e.g. for blood pressure), adjust the dose, adjust when you take your medication, or change the medicine to one that has different effects that don't effect your driving. The printed material that comes with some medicines will tell you the side effects. If it doesn't have printed material you can look up the drug's side effects on the internet. If you are given medication by a friend because you have a headache or other ailment, be sure to check this before you drive. How will this medicine affect me day-to-day? Will I be able to drive after taking this medicine? If so, will I have to wait for any period after taking it before I can drive or are their any conditions, e.g. must be taken on a full stomach and must not drive for 6 hours after taking it. Are there any medicines that have less side effects? Are there any lifestyle changes I can make to reduce the amount of medicine? Are there any community organisations that can help me get around if I can't drive? If you rely on driving for your living, e.g. you are a professional driver, make your doctor aware of this. Monitor your reactions to medicines and supplements. If you get an adverse reaction and stop taking one or more of them, let your doctor know.